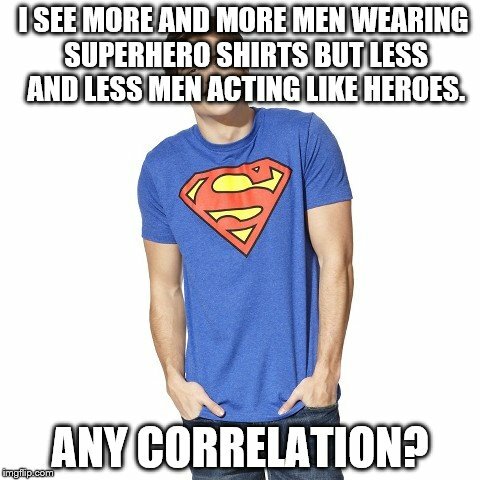 I see more and more "adult" men wearing comic book superhero shirts but less and less men acting like heroes? Think there's a correlation? You betcha'.